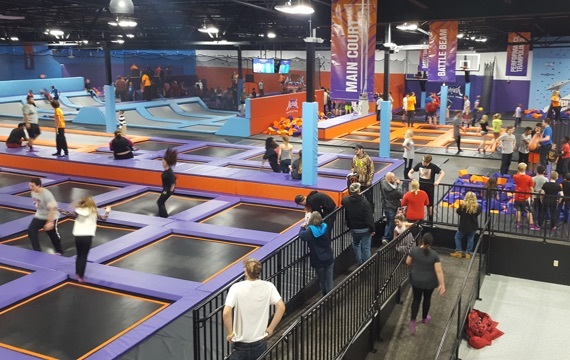 With wall-to-wall trampolines, you'll be hard pressed to touch them all! In fact, make that a goal – come out and bounce on every trampoline and make sure they all work right! 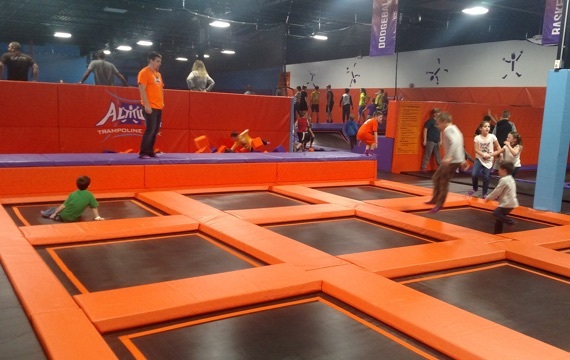 Thousands of square feet of fun for your bouncing pleasure! 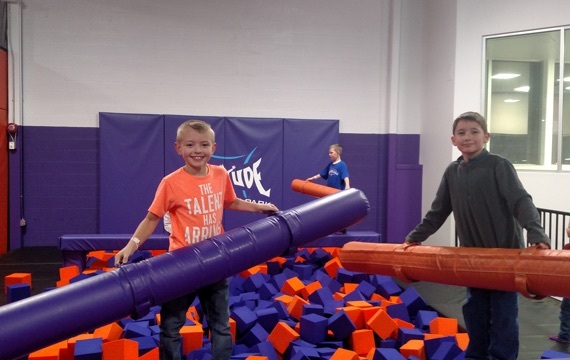 Come check out our two Battle Beams and try to knock off a friend or foe into a giant foam pit! Why should the big kids have all of the fun? They shouldn't! We love seeing the little ones get out and jump. Parents love the fact that we have a special area just for their little ones called Kid's Court! With dedicated court monitors and even special Toddler Times, we want the little ones to have a safe and fun experience just like everyone else! Practice your cheerleading and tumbling in a safe and easy-to-land environment! You can front-ﬂip, cartwheel, and show oﬀ all of your gymnastics skills on our two tumble tracks. 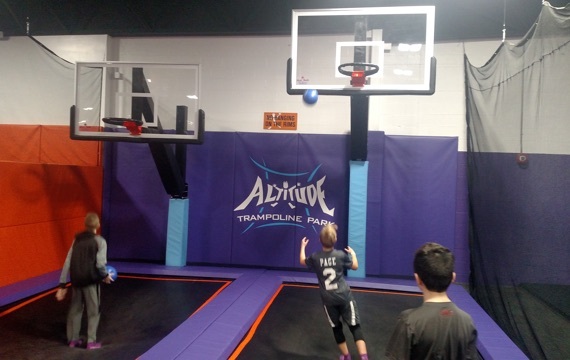 The average person can't dunk a basketball – but at Altitude, YOU can be above the rim! We have a 7-ft. rim and a regulation 10-ft. rim. Bring your A-game to stand out above the rest! we have the radical new twist on the old game! 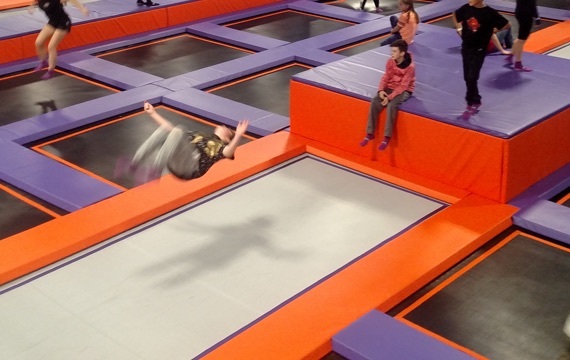 Get a full-body workout ducking, dodging and diving on our high-tech trampoline courts. With routines set to high-energy music, you'll be lead in a series of trampoline exercises to improve your ﬂexibility, strengthen and tone your muscles, and give your cardiovascular system a work-out. More information about our trampoline ﬁtness classes will be announced on our website and Facebook page! 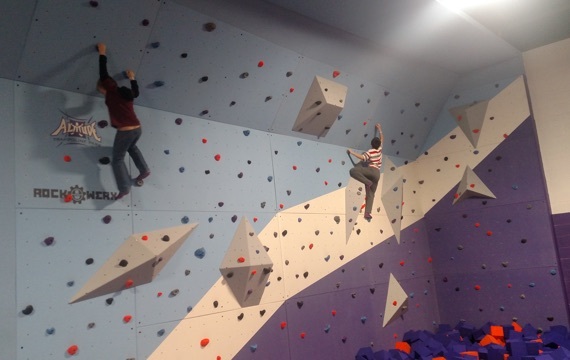 Altitude Trampoline Park is the only park in the area with a massive 20-ft.-high indoor rock wall to play on! Scared of falling? Don't be! 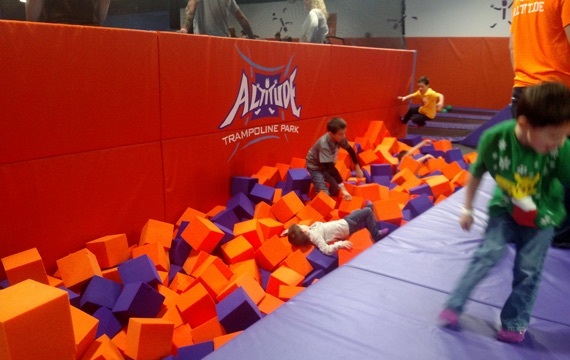 Our rock wall is situated above a foam pit as well! The best part: it doesn't cost any extra to come and climb on the rock wall – it’s included with your ticket cost!